Podcast Junkies was born out of a genuine interest in and curiosity for this growing league of podcast hosts. It's hosted by Harry Duran. It features wide-ranging, authentic and sometimes candid interviews with this family of voices behind the microphone. The shows themselves cover a variety of topics such as Business, Finance Entrepreneurism, History, Comedy, Storytelling and more. 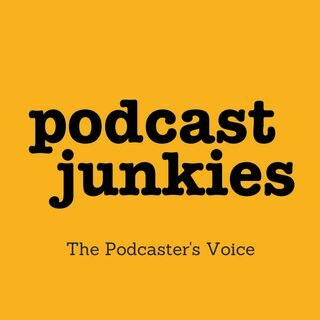 Podcast Junkies explores the motivations behind the podcast's inception and allows the listener to ... See More connect on a more personal level with some of their favorite hosts.